More than 38 million Americans have tried alternative health therapies. In fact, there is research which demonstrates that this form of treatment has out delivered prescription medicine for various health problems, such as chronic or severe pain, obesity or being overweight, digestive and metabolic problems, fibromyalgia, depression and more. This form of therapy which utilizes a holistic, natural and integrated approach consists of treatments which are usually natural, effective, safe and fast. 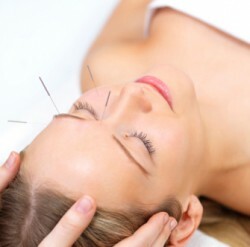 Depending on the needs of the patient, various treatments can be combined, such as acupuncture, Chinese Herbology, physical therapy and more. If you are interested in learning more, contact Ideal Family Health Center located at 55 W. Golf Rd. in Arlington Heights. Family Health Center is offering free acupuncture treatments with only an optional $10 donation on Friday, August 26th from 9am-7pm. Space is limited so call now for an appointment. The funds received will be donated to Hispanocare – a non-profit health care organization which has been serving the Hispanic community for over 20 years. You can contact Family Health Center at 847-357-0636.